The dream of every blogger is to improve organic traffic. Yes, the traffic from search engines which is the targeted traffic that would help us to get the sales or conversions. How to improve the search traffic? It’s a million dollar question! Most of the bloggers perform keyword research to boost the traffic from Google! Even I too. 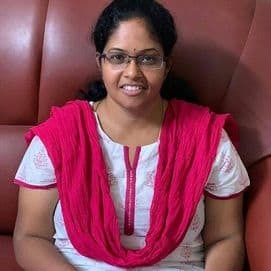 But for me, it was rocket science to increase the traffic of mymagicfundas.com as I handle several blogs and have to do the household tasks as well. Thus, I didn’t get much time to focus on growing this blog. I used to get several sponsored post & product review opportunities and missed some excellent earning chances due to the low traffic. I was using HostGator cloud but couldn’t find any improvement in the organic traffic and website speed as well. So, I have decided to change the hosting server as I use the superfast managed cloud hosting, Cloudways for my other blogs. 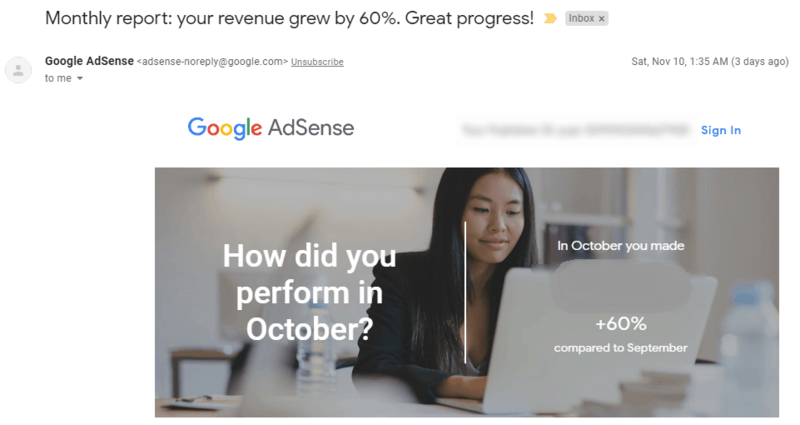 When I moved to Cloudways cloud hosting (Digital Ocean Sever), my blog traffic has improved, and I have noticed a significant boost in the AdSense earnings as well. Have a look at the date of Cloudways server purchase! Yes, I have moved my blog to Cloudways in July 2018, and I have done the migration process by myself through the WordPress Migrator Plugin. 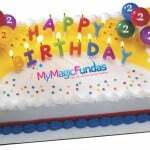 Now, view the organic traffic results and last month Adsense report of Mymagicfundas. I would say that it is a perfect choice for small as well as medium-sized business. 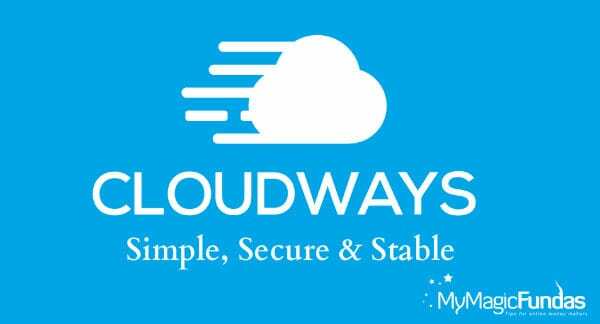 Cloudways offer reliability and is highly affordable. The Cloudways packages are user-friendly and do not pinch your pocket. Moreover, it offers scalability and can be modified as per the growing needs. It provides much-needed flexibility so that you can utilize the resources as per the requirement. The payment is charged only for the resources being used by the website; there are no hidden charges for the features which are not used. With the help of Cloudways hosting the deployment, management, and monitoring of application and website was super easy. In addition to it, the loading time of the website is less which helps to boost the search engine ranking. Apart from these qualities, this super-fast WordPress hosting has some exceptional features that I would like to summarize in my Cloudways review 2018. Here are the top features which made me move to Cloudways managed hosting! Opting for Cloudways hosting is the best decision I must say, it has lessened my workload, I don’t need to worry about installing, maintaining, optimizing and implementing the hardware. 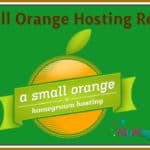 All the process is efficiently handled by the service providers since it is a fully managed hosting type. Now, I can focus on my blog’s growth and writing assignments. The platform works on robust ThunderStack; it is a brilliant combination of Apache and Nginx web servers, it helps to manage the website’s performance at incredible speed. This helps the page to get loaded instantly. The ThunderStack is a multiple store friendly stack which ensures the website’s performance, speed and user interface is exceptionally good. The Cloudways has kept all the features extremely simple, be it the admin panel or features you can just get started without any technical support. The entire platform is free from complicated steps and painful processes. Anyone can launch the server in just a few minutes, that also include including plugins, add-ons into the websites and application. The tab named “Server Management” is one stop solution to all the operation related needs. An individual can monitor the server, take backups, manage the addons, keep a check on security and take care of other services instantly. The tech support team of Cloudways is dedicated and offers round the clock support all 365 days in a year. You can reach the team for all sorts of queries and issues related to servers. The Cloudways have also come up with chat option where the team resolves issue swiftly. The support team follows a ticketing system where the queries and issues are resolved by expert engineers. I always reach them quickly and got helpful assistance when needed. Cloudways provides the best packages at a pocket-friendly process. 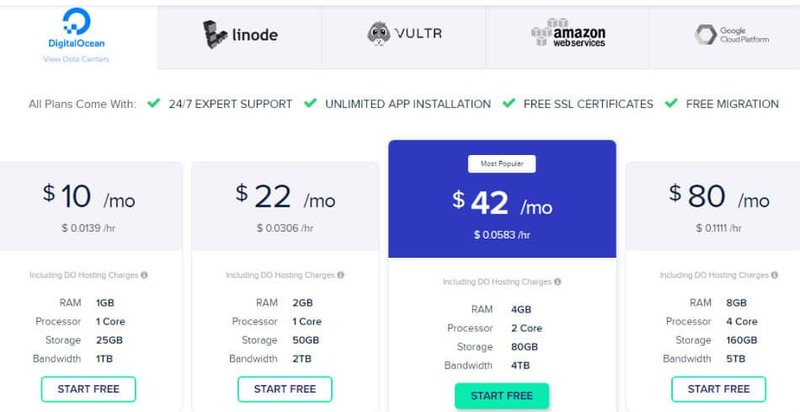 The hosting cost can be a little high as compared to other providers by when you calculate the return on investment, Cloudways tops the chart. The plans at Cloudways start at just $10 every month. The best part is, the users need to pay only for the resource they consume, there are no hidden charges. The entire platform of Cloudways is following one-click operations. You are the boss of your server. The platform allows you to automate or take backups with just one click. The entire action can be reverted with one click. This one-click formula applies to disable the access to any application from the web, test application changes without affecting the live version, closing the servers, creating copies of files and database, transferring ownership of servers, deploy any number of WordPress sites on a server. When it comes to security features, Cloudways understands that the security of the website and app is crucial since the customer trust you with their card credentials and personal data. The platform follows patches to ensure all the data is highly secured and the severs undergoes regular security checks to rule out foul play. The Cloudways uses dedicated secure VLANs, firewalls to provide robust security to manage the data even during the backup and recovery process, this ensures that there is no loss in precious data during the unpredictable scenario. The Cloudways provides free SSL certificates which assure that the platform is well equipped with security factors. The SSL certificate from Encrypts fulfills all the needs of HTTPS for your website free of cost. Due to the change in Google’s algorithm, it is mandatory for the website to have HTTPS, this will have a positive effect on page ranking. With Cloudways hosting you don’t need to pay any added charges for it. Moreover, the SSL certification also helps to increase the SEO ranking since Google is trying to make the internet a safer place. The website with SSL certification gets preference when it comes to search ranking. The Cloudways platform comes with auto scalability feature; it means it can scale the resources like CPU, storage, bandwidth, RAM as per the website requirement, the hardware needs can be met instantly by selecting the desired serving size. Cloudways allows the users to scale up automatically when there is heavy traffic without crashing the system. With the help of Cloudways platform, the third-party integration is seamless; it helps to boost the workflows. Integration with GitHub and other similar deployment tools makes the entire system reliable, and the overall responsibilities of developers are manageable too. The developers have full control over the application and servers. As we have a global audience worldwide, we have integrated the CloudwaysCDN for quick content delivery. Combining the Content delivery network of Cloudways to the WordPress sites is easy, and anyone can do without the technical knowledge. You may use their WordPress cache plugin – Breeze or W3 Total Cache & Autoptimize plugin to get the job done. CloudwaysCDN is more affordable ($1 per 25GB), and it supports https version so that you don’t need to worry about the security concerns. In my unbiased Cloudways review, I should have a word about the correlation between this fastest cloud hosting and SEO. The Cloudways is the best SEO hosting through which you can get the high SERPs. You should know how Cloudways supports SEO so that you can rock on the web. The pricing plans of Cloudways is Flexible and Transparent! You can choose the cloud server from 5 different providers and four different plans. Have you decided to go with Cloudways like me? Wait a moment! The Thanksgiving day season is very near, and you can get the Cloudways Black Friday deals, discounts, and free credits that will save your hard-earned bucks. It is a nice opportunity through which you can buy the premium cloud server at a low price. So, grab the lucrative deals and mark your business presence on the web. It is good to build a profitable site, and the recommended way to boost the search engine ranking is to use the fastest hosting. 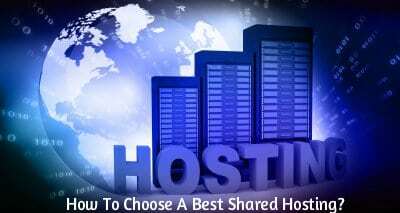 Cloudways is power packed with impressive features which makes it the first choice for a reliable hosting solution. With Cloudways you can experience both high speed and great performance at affordable rates. Switch to Cloudways and improve your organic traffic as it provides the best features to manage your account as compared to traditional service providers. No doubt cloudways is an amazing tool. thanks for sharing a helpful article with us. This post of yours is really helpful. The best thing I liked about cloudways is its pricing, its their advantage too. Hope to see more reviews.